to efficiently get you around Raleigh. Complimentary with your next 2018 RAV4 is our Family Plan worth over $3,000! The more you drive in North Carolina, the more you save with lifetime oil changes, lifetime powertrain warranty, lifetime car washes &smp; even more. 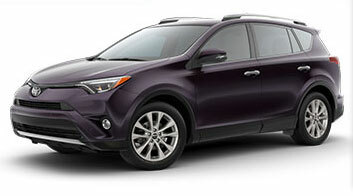 Safety is smart in the new Toyota RAV4 with standard Toyota Safety Sense (™) P which combines Pre-Collision System with Pedestrian Detection for top-notch safety precautions. Plus, you receive the Star Safety System (™) with any 2018 RAV4 to keep you driving safely for years to come. Venture out in style with the large cargo space capacity available with the 2018 RAV4. With 60/40 split rear seats, simply fold the second-row seats down for up to 73.4 cubic feet of cargo for your traveling needs. With 34 MPG City, the 2018 RAV4 Hybrid will bring efficiency to all of your traveling adventures. The 2018 RAV4 Hybrid not only comes with Toyota's proven hybrid powertrain, you can gain extra excitement with 194 net horsepower.